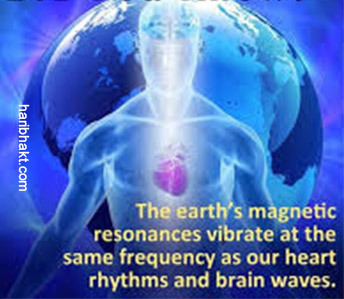 Brain waves are tricked by the manifestations around us. 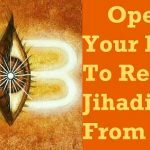 How everything in this physical or spiritual is inter-connected and works with our brain can be seen further in this post. 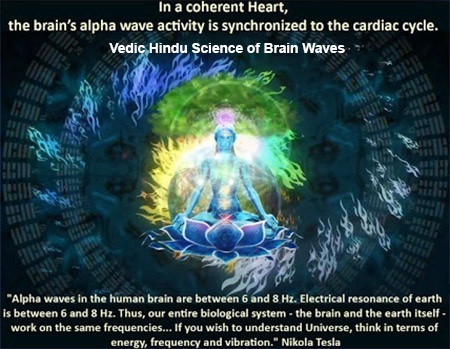 It happens when alpha and theta waves are perfectly balanced w.r.t other waves across the entire brain, a communication is possible between the human being and the planet – connection is developed. 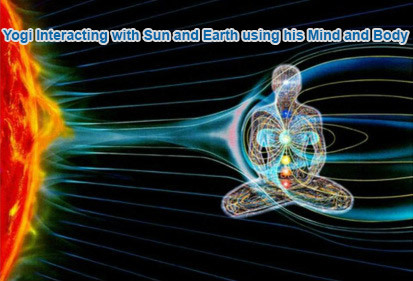 Energy and information which are embedded in the Sunya or Zero point (Aether ) is shared with the human brain. The planet communicates with us in this primal language of frequencies. 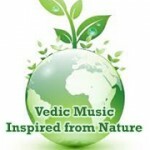 The communication happens through the divine sound language that transcends through inter-dimensions and exists everywhere. 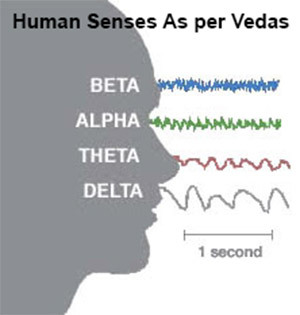 Ancient and modern Hindus (now Sages) are fully aware of communicating through (biological medium) mind and body with consciousness of the Universe. The illiterate muslim invaders being foolish, demonic barbarians when got the opportunity to acquaint Vedas and Hindu texts instead demeaned them and denigrated sacred symbols of Hinduism across India. They tried unsuccessfully to spread anti-Human cult islam. The chance to gain Vedic knowledge and eternal wisdom for mlecchas got lost forever due to their veiled manmade rituals and manual teachings. 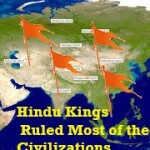 If the invaders had instead embraced the Vedic knowledge with humility they would have made the world a peaceful place. Likewise, the idea of consciousness has triggered a debate among the quantum physicists who study sub-atomic particles. It was first raised by a brilliant physicist John Bell of the CERN laboratory in 1964. In his article fully inspired from Gita, John Bell tried to solve an EPR paradox, named after Einstein, Podolsky, and Rosen. Without going into details about the paradox, the issue in question is this: how does one sub-atomic particle know of the altered behavior of the other particle and respond accordingly, even though they are separated by light years of space? Do they contain some common information engrained in them at the time these particles were created? How do they become aware of each other to react so instantaneously at such a vast distance? Barring some conditions and technical details, this is known as the principle of entanglement, or Einstein’s famous doubtful quip on the quantum physics: “spooky action at a distance”. Bell demonstrated the possibility of measuring the existence of such a “spooky action” and laid out some conditions to resolve the paradox between the classical and the quantum physics. At any rate, not being able to explain the source of such an entanglement, however, John Bell in his paper ended up confessing in the concluding paragraphs the possibility of consciousness as being at the driver seat in this cosmic dance of creation and destruction. This is exactly what the teacher ( Krishna ) tells his beloved disciple (Arjun) in the Bhagavad Gita that the omnipresent Self, manifesting itself through trinity, is behind the creation and the destruction of this universe. We physical beings and the nature are just the actors in this cosmic dance. 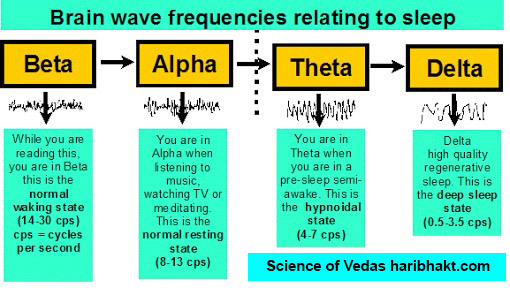 To that end, quantum physics which is based on Hindu text and Vedic teachings, has attempted to show through experiment that the sub-atomic particles behave unpredictably (in a probabilistic sense) and can exist in multiplicity except when it is observed. This raises the possibility that the physical surrounding around us is just one of many possible “worlds” that comes in existence in its fixed form only in reference to our viewing or the frame of mind. In Gita, Bhagwan Krishna alludes to the possibility of this other “parallel world” by telling Arjun of having already witnessed the Mahabharata battle and its outcomes. 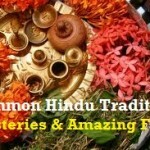 Is this the maya (illusion) that the Gita warns us about? 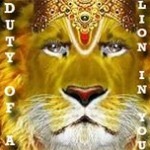 That is, is reality the projection of our mind as postulated in the Gita? If the mind can play a trick on the physical reality, as Bhagwan Krishna says in the Gita, then are the objects and the viewers of the objects both somehow entangled and become aware of each other’s existence? If true, then what connects the two –mind and matter– will be a vitally important question to those who study particle physics. For the first time, John Bell’s famous paper has allowed scientists to test the existence of the entanglement between the sub-atomic particles. Similarly, others have attempted to test the similar effect through studying the meditative state and its effect on the physical surroundings. Mind and matter after all are the products of nature, and the entanglement between the two may be caused by something else. This something else is what has become the source of a heated debate among the quantum physicists. 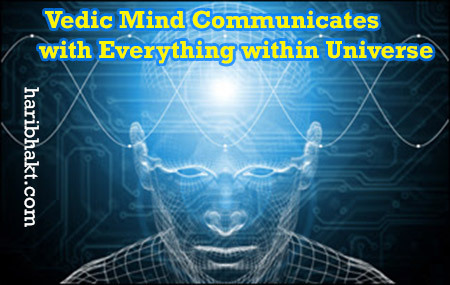 Like John Bell, a well-known theoretical physicist, Dr. David J. Haglin, also argues the existence of the concept of the universal awareness –or propagation of information sharing throughout the universe coming out of the primordial singularity. 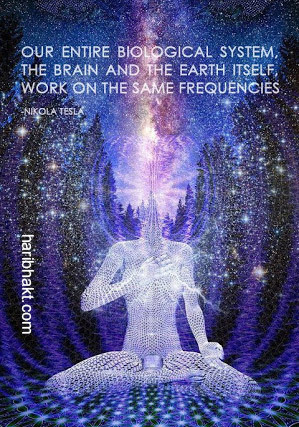 He calls it consciousness, and suggests that the ultimate unified theory in physics, explaining everything from big galaxies and black holes to the sub-atomic particles, must incorporate the concept of consciousness at the very root of it. Inspired by the Gita and encouraged by the scientific evidence behind the power of meditation within the controlled environment, Dr. Haglin has initiated a project in India involving mass meditation. He hopes to change group behavior to promote peace through such concentrated meditative contemplation. 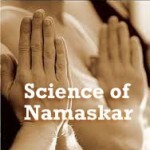 The power of intention through contemplation to alter personal disposition is amply articulated in the Gita as well, and scientists have just begun to scratch its surface. Interestingly, many Hindu scriptures speak of highly accomplished Rishis as having power to calm the other beings around them. But, there is much to learn about the relationship between the mind and matter. Nevertheless, efforts are underway to make good use of such potentiality. For example, physicist like Dr. Haglin focuses on the physics of entanglement to harness the power of meditative minds for enhancing peace. A genius Nobel Laureate like Richard Feynman, on the other hand, saw an opportunity in entanglement –simultaneity of possible information propagation in particles– to produce quantum computers with infinite computing capacity. In both cases, a proper understanding of consciousness is likely to serve the humanity. Microbiologists have begun to study the process of human evolution from a single cell organism into a complex functioning biological body. How the trillions of cells in a body interact with each other as a community has become the subject of scientific investigation. To some scientists, this brand of investigation is also knows as “biology of consciousness”. For example, Dr. Bruce Lipton, a cell biologist in the medical field, cites his research to refute the idea that our personal disposition and diseases are genetically pre-programmed. Instead, he argues that our cell membranes, acting like a human receptor, can respond to the outer environment and send proper signal to our body to “prepare it”. We change our personal disposition, he argues, accordingly to the information our senses receive. 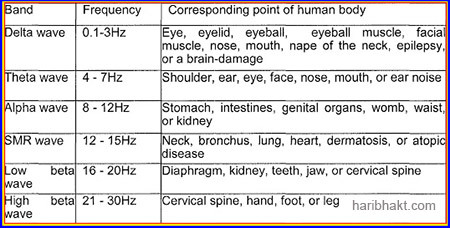 Thus the DNA mutation is not necessarily a random act; it can be triggered by our senses in response to interaction with the outside physical world. Because of the evidence of abrupt changes in various species, the Darwinian theory of gradual evolution over a vast span of time scale has proven to be a hoax. Our quick adaptability seems to be the underlying cause of our progress. Our ability to create an Oneness between the Soul and the physical world seems to be in line with the teaching of the Gita. Dr. Lipton argues that a person growing up in a violent environment tends to build necessary defenses (e.g., larger bone and muscle mass), and he cites an experiment done on the two identical mice. The cell membrane of such a person, interacting with the outer environment, sends information to the brain and to other cells to shift energy to build necessary defenses. Consequently, the human body shifts its focus away from the frontal cortex (intelligence) of the brain and toward the backside of the brain. 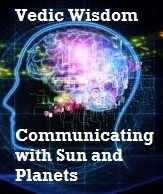 This idea of live consciousness, interconnectedness, and information sharing has fascinated many scientists. 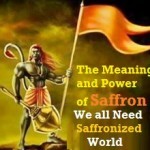 This shows that the idea of the connection between mind and matter as described in the Vedas five/six thousand years ago is more than an abstract faith. The idea of the detachment of our soul from the bad surrounding physical environment, described in the Gita, seems so logical. Dr. Lipton further cites example of how organ recipients (e.g., heart and liver transplant) mimic the behavior of the organ donors. The idea of information transmission across these microbes and our cells (e.g., domestic and foreign cells) raises an interesting question regarding our biological connectivity, both within and outside the body. The Gita and the Vedanta literatures postulated such idea four to five thousand years ago through the concept of the omnipresent Atma or the Soul and its existence down to our minute molecule. The existence of the Soul in all living creature opens up the possibility that we living creatures are all somehow connected just like what the entanglement theory of quantum physics postulates. 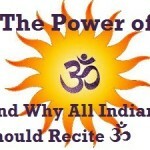 The Gita had proposed this idea thousands of years ago. Dr. Lipton pushes this idea further to argue that the well being of our body and mind can be influenced by controlling our receptor (“cell membrane”) and channeling it only to receive “good thoughts”. This is exactly what the Gita teaches us to do: control our senses through meditation to be a sattavic (goodness, caring) person, and to shed characters such as tamasi (ignorant, devious) and rajasi (passion, greed, and drive). The Gita specifically talks about the influence of the tradition on our behavior, and so it urges us to reject bad belief system [18.15]. Dr. Lipton’s analysis also puts much emphasis on the role of the belief system in our ability to receive information and produce changes in our biological functioning. The Windbridge Institute for Applied Research in Human Potential ( University of Arizona ) has been conducting scientific research to test the existence of the soul under various control experiments. Some findings have also been published in peer reviewed journals. There is much to discover in science to learn about the role of consciousness in the fundamental physical law. Until then, one should have an open mind, and enjoy the wisdom of the Gita, which encourages us to be aware that the Soul is permanent, whereas the physical self goes through the cycle of natural law of cosmic creation and destruction. According to Vivekananda, this non-secular universal teaching is what’s behind the Vedanta philosophy and Hindu religion. 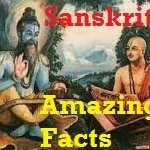 is Gautam Buddha.. an true avatar of lord vishnu ???? but buddha religion people do not agree that lord buddha is not avatar of lord vishnu……..